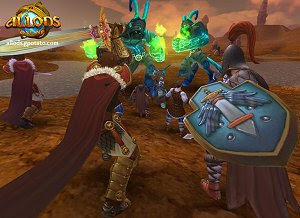 Allods Online is an ambitious free MMO game from Astrum Nival and Gala-Net, both featuring large experience in game development and publishing. This is the most expensive game project in Russian history, costing over $12 millions, and the result is a MMORPG with impressive graphics, a great soundtrack and a vast world to explore. The space combat with flying ships is just one of the outstanding features in display.